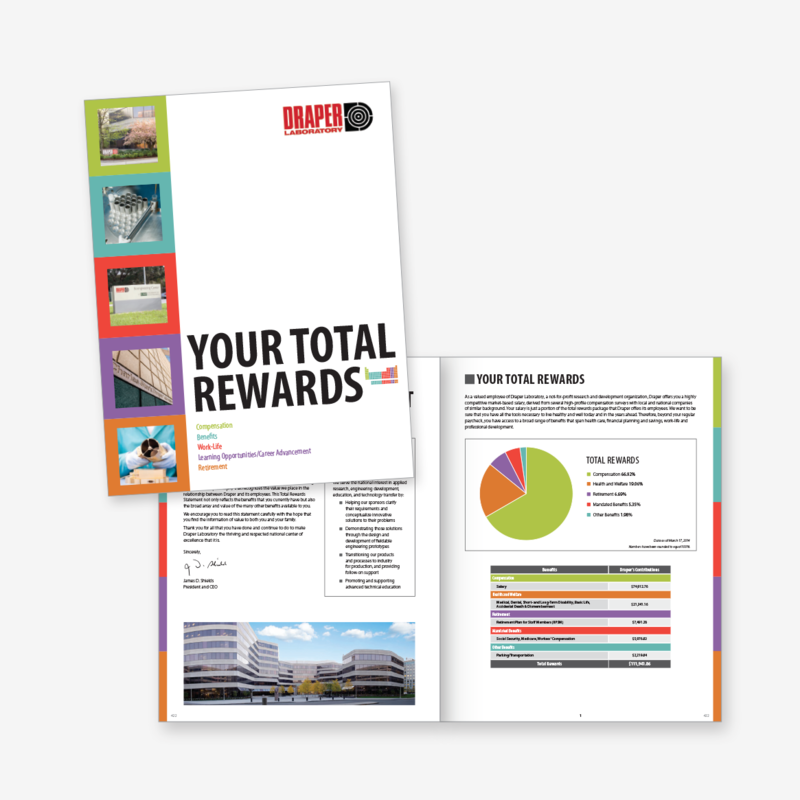 To show employees that they are appreciated, rewarded and fulfilled by outlining a comprehensive list of all the benefits and their financial value. 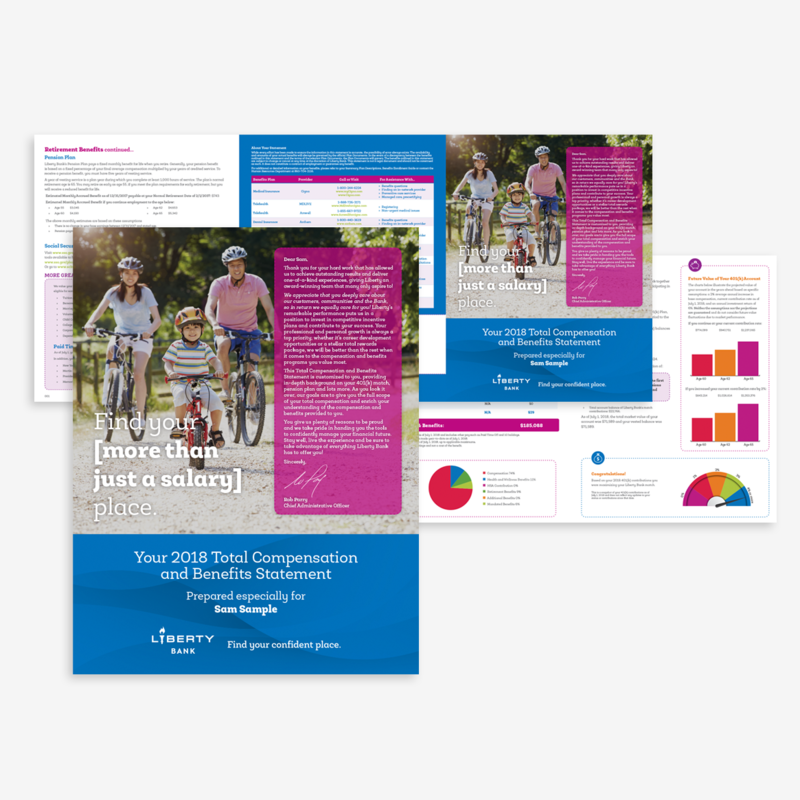 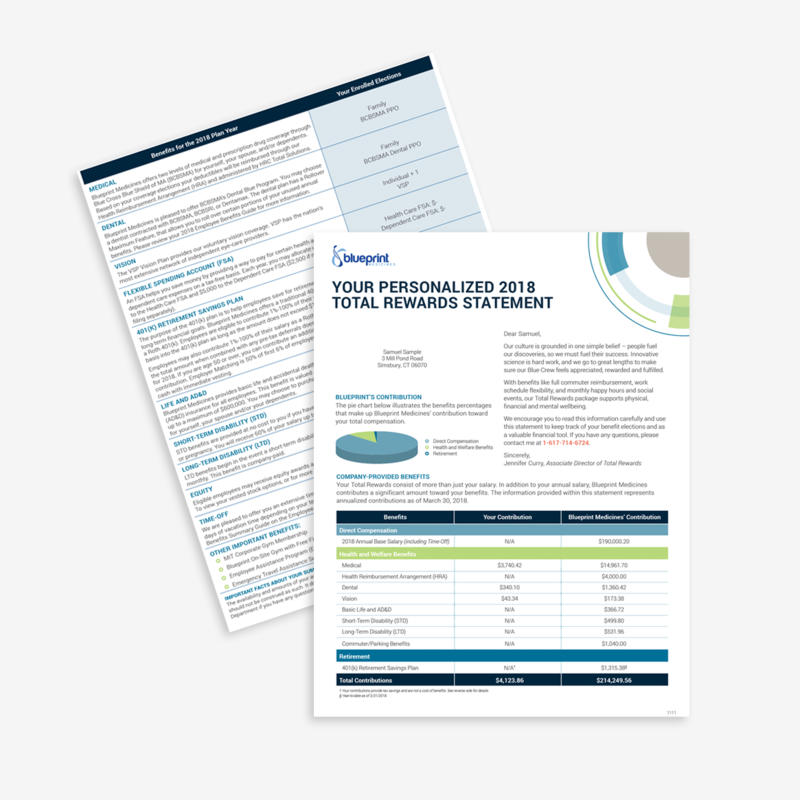 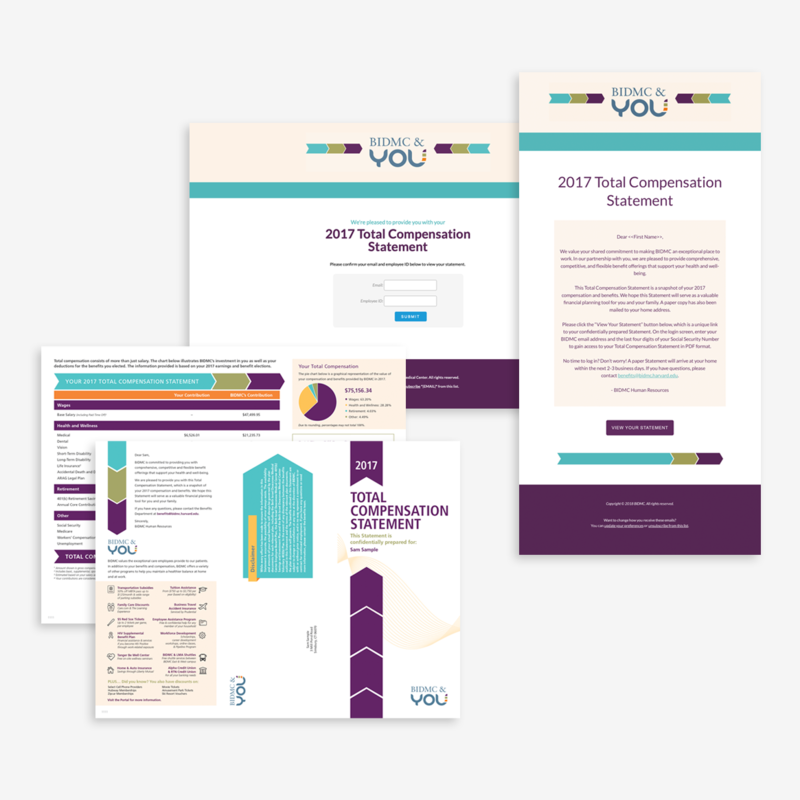 Provide a personalized, annualized total rewards statement that shows how the Total Rewards package at Blueprint Medicines supports the physical, financial and mental wellbeing of every employee. 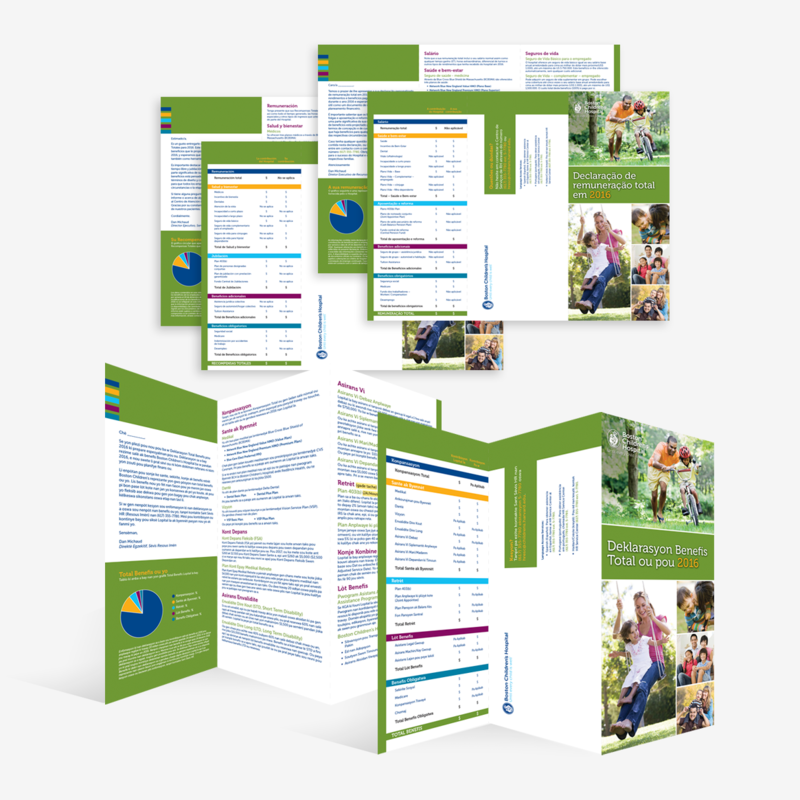 Also included was a list of current benefit elections and coverage levels with a brief description of each. 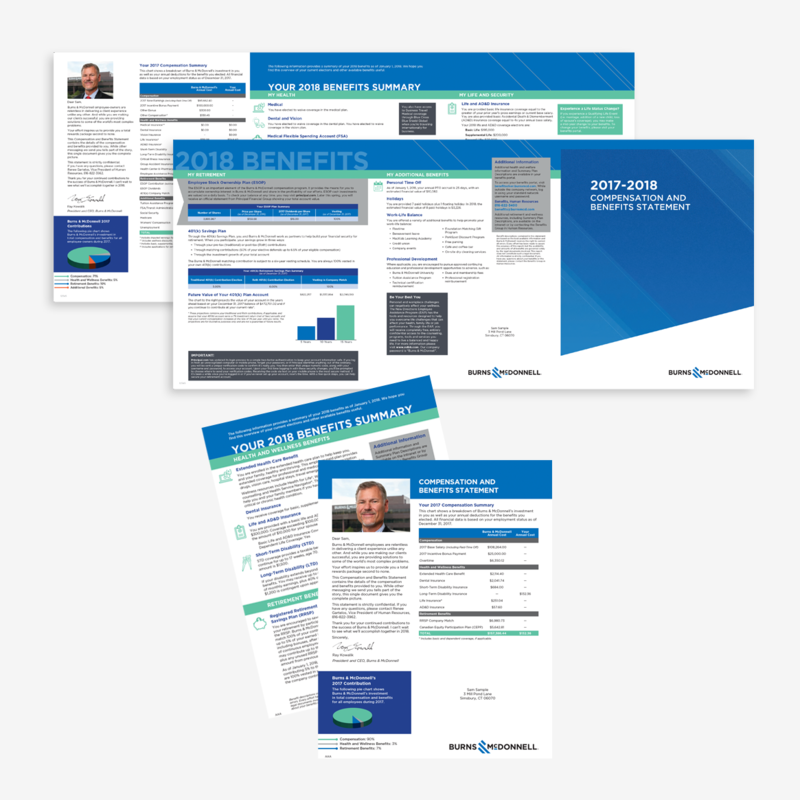 Employees felt a greater understanding of the depth of benefits offered to them and reported feeling more valued as well as more educated on all that is truly offered to those working at Blueprint Medicines.